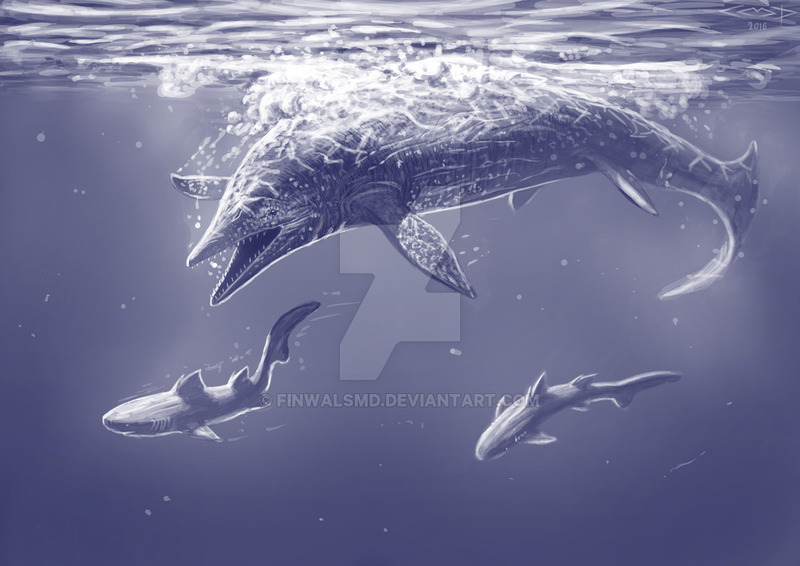 You wouldn’t know it just from Shastasaurus pictures, but this was the largest marine reptile to ever live. It was approximately 60 feet long and weighed around 75 tons. That made it longer than 3 killer whales all placed head to tail and almost as heavy as a blue whale. 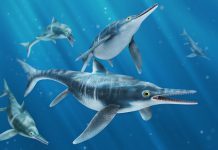 What is really interesting about this marine reptile is that its tail isn’t as well developed as some other Ichthyosaurs. It appears that it tail arced downward. 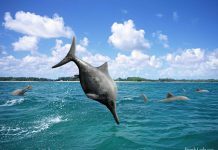 This means that it what most likely better at maintaining a stable cruising speed than it actively swimming at high speed in pursuit of prey. Thereby, it was most likely a passive hunter than an active one – pretty much just catching its prey when they came across its path. 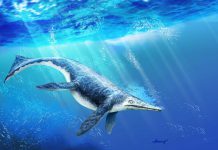 One of the most fascinating facts about Shastasaurus, other than its size, is the fact that it lived primarily off of small fish, cephalopods and squids. 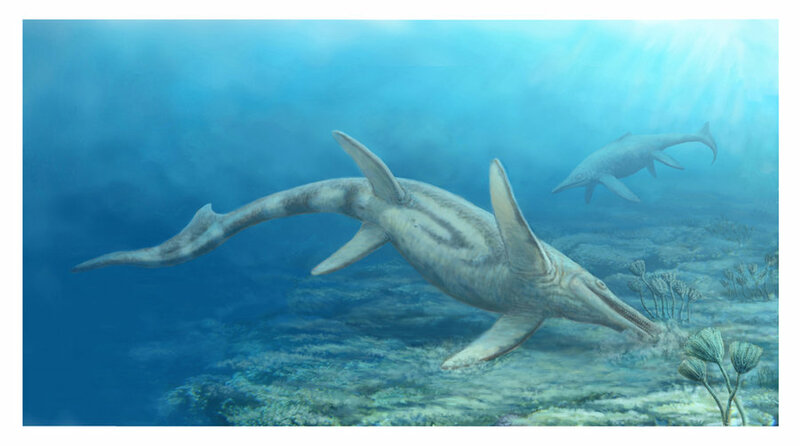 Paleontologists determined this by examining its skull and comparing to other animals. 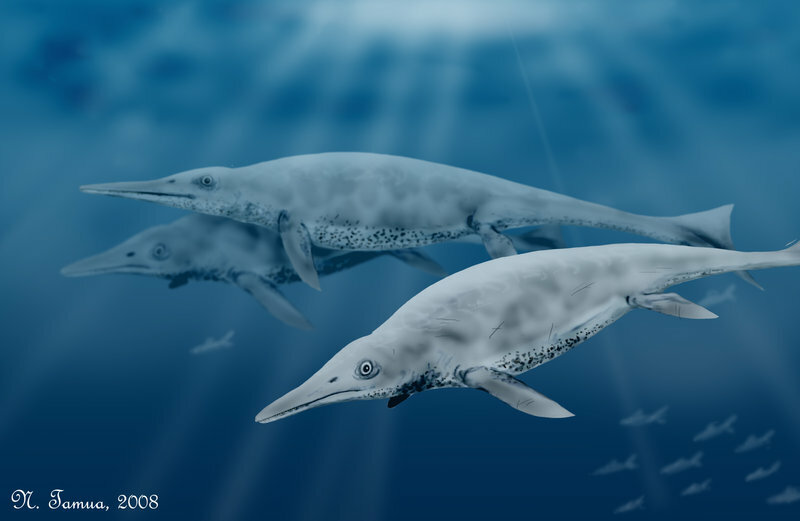 This makes it very similar to a modern day sperm whale because they both have a very similar diet. 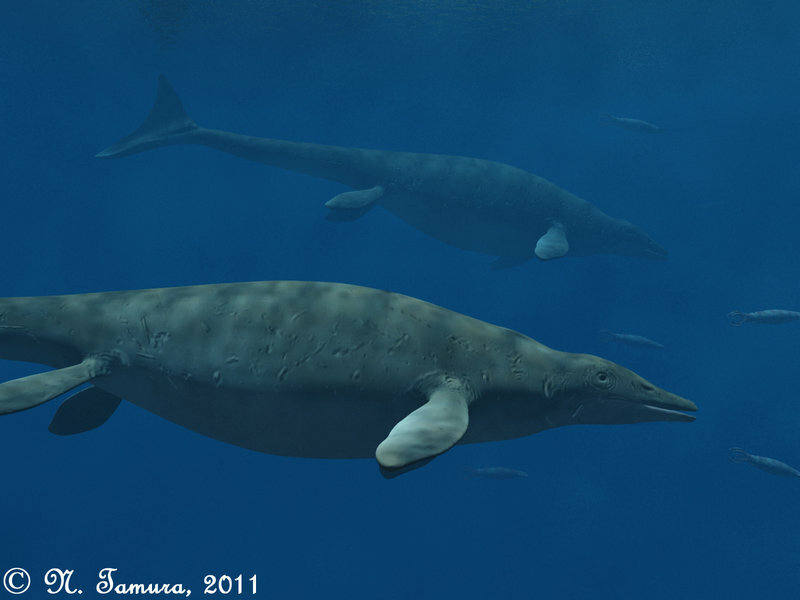 However, despite their similarity in size and diet, Shastasaurus and sperm whales are in no way related to one another.